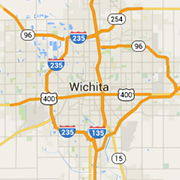 Products and Services for Wichita area businesses. Local companies who can help your business grow. From advertising and web design to Wichita Janitorial Services, copiers and office supplies. When you have flood damage, fire damage or mold, we’ll help you get your home or business back to normal. Serving Wichita and surrounding areas. Managing commercial furniture installations, relocations and reconfigurations in the Wichita area since 1995. We offer top employment opportunities! Join our retail sales team and you'll deliver game-changing solutions such as facilitating optimal content-sharing for families.